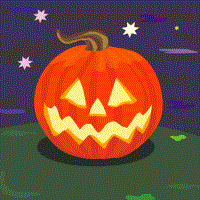 Free halloween coloring pages for your toddler to enjoy. There are lots of to choose from. Coloring pictures are one of the all time favorite activities for toddlers. So for fun activities for toddlers these coloring pages are a great way to keep your toddler occupied. You can use these just for fun but they are also great toddler learning activities. Every toddlers favorite coloring pages. They will also learn motor skills such as how to hold and use different kinds of crayons and pencils. These kind of toddler activities help with understanding and recognizing colors. So download and print off your free coloring pages and enjoy this toddler activity with your little one. For your printable halloween coloring pages simply click on any of the images to download your coloring picture in PDF format. Then press the printer icon to print off on regular office paper.